The Islamic Movement of Uzbekistan is on the offensive against Kabul government. An extremist group allied with Islamic State has emerged as a potent force on the battlefield in northern Afghanistan, threatening to further destabilize the country and sow instability throughout Central Asia, senior Afghan officials say. The Islamic Movement of Uzbekistan, or IMU, designated a foreign terrorist organization by the U.S., has been on the front lines of a major anti-government offensive this summer in the north. And that worries both Kabul and its neighbors, as the violence has swept across the Afghan provinces that border the former Soviet republics of Turkmenistan, Uzbekistan and Tajikistan. “Why are they going that way?” said Hanif Atmar, the national security adviser to Afghan President Ashraf Ghani. “Because they want to be closer to Central Asia, which is exactly where they want to be,” he added. “Afghanistan is fighting on behalf of Central Asia,” Mr. Atmar said. The IMU is one of several groups of foreign Islamic extremists who are active in Afghanistan, along with al Qaeda, Chinese Uighur militants and terrorists of Pakistani origin. Any effort by the Kabul government to start a reconciliation process aimed at ending the war in Afghanistan would exclude such groups. The Afghan government says IMU, with thousands of fighters, is among the largest and most active in its territory. 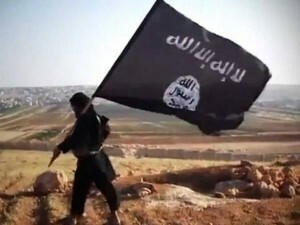 The group originated in the 1990s in Uzbekistan with the aim of overthrowing President Islam Karimov, the onetime Communist Party boss of the former Soviet republic, and establishing an Islamic state. Mr. Karimov responded to the group’s unsuccessful attempts to assassinate him with a ruthless crackdown on all his political opposition, sending many IMU members fleeing to neighboring Afghanistan, which was then ruled by the Taliban. “They transitioned from focusing on Central Asia to focusing more on international jihadism,” said Christian Bleuer, a Central Asia expert. After the collapse of the Taliban regime in late 2001, the IMU regrouped in Pakistan’s tribal areas along the border with Afghanistan. In June 2014, the IMU claimed responsibility for a spectacular attack on the airport of the Pakistani city of Karachi, highlighting the group’s wider ambitions. But a Pakistani army offensive launched last year pushed a large number of militants—many of them from the IMU—back into Afghanistan, further threatening the country’s fragile security. In northwestern Faryab province, a once-peaceful corner of Afghanistan bordering Turkmenistan, IMU militants are often now leading the fight against government forces. “Whenever the fighting gets tough, it is the Uzbeks who are in the lead,” Afghan Vice President Abdul Rashid Dostum recently told reporters. “They are fighting our troops at very close range,” said Mr. Dostum, a powerful former warlord and leader of Afghanistan’s own ethnic Uzbek community. One of the group’s founders was a former Soviet paratrooper, and IMU fighters advertise their combat skills in propaganda videos produced for recruitment and fundraising. A video released by the group in early July shows militants staging a complex assault on Afghan government troops in southern Zabul province. The footage, shot from multiple vantage points, appears to show the fighters armed with rocket-propelled grenades and automatic weapons as they overrun a hilltop police outpost, killing a handful of Afghan policemen and incinerating a truck. Tellingly, the video features the black banner of Islamic State.